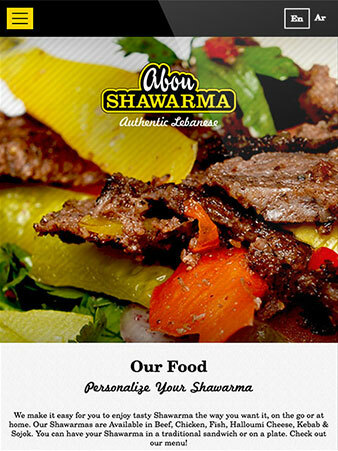 Abou Shawarma is a Lebanese Shawarma Franchise that was fully created by us! 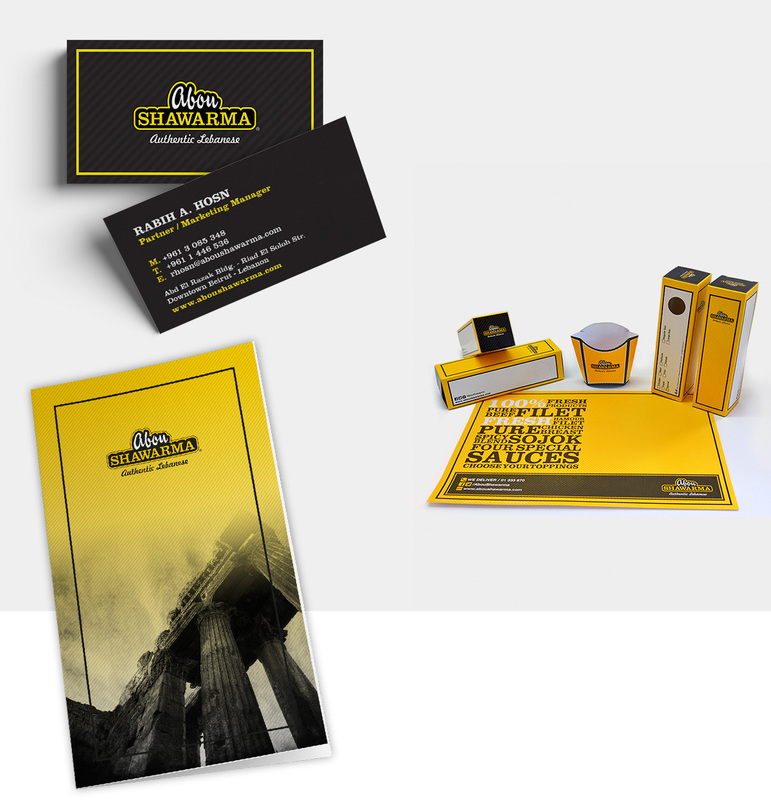 The client briefed us on the project and we pitched the name and brand. The rest is history the Franchise has grown tremendously in the past 3 years and people love the brand. 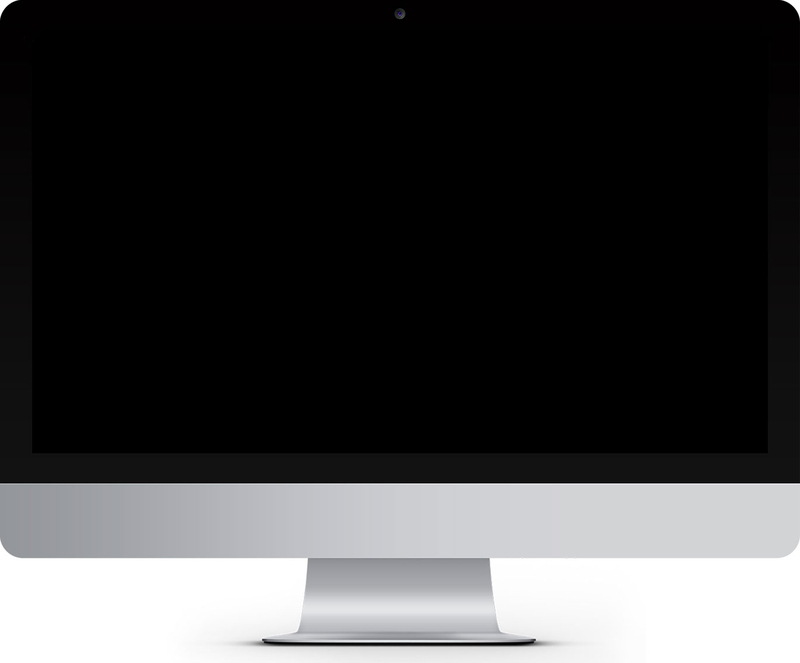 The name of the company was created by us and our aim was to create a memorable identity that was unique and easy to read. 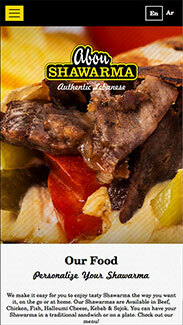 The advantage is that in the Arab World the name Abou Shawarma is catchy and respectable. 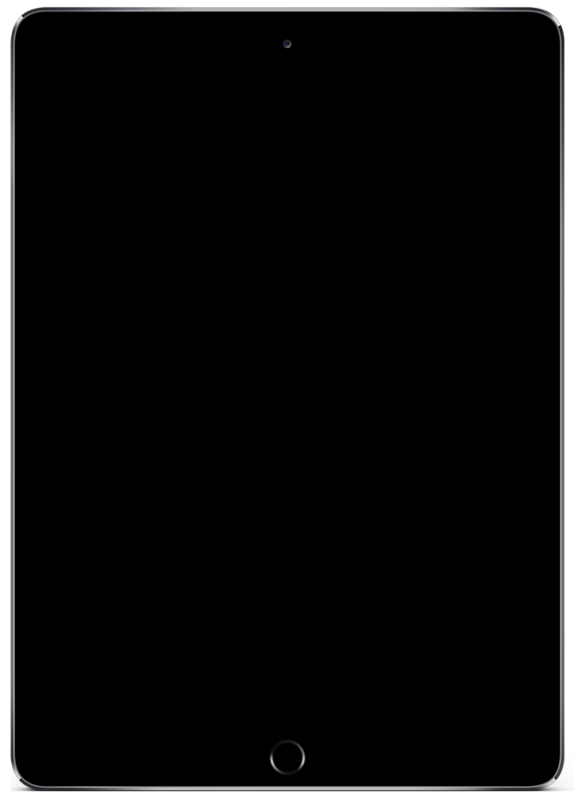 It has been received very well in the 3 markets it opened in Kuwait, Qatar and Lebanon. The brand is now set to open in Dubai, Riyadh and Oman. 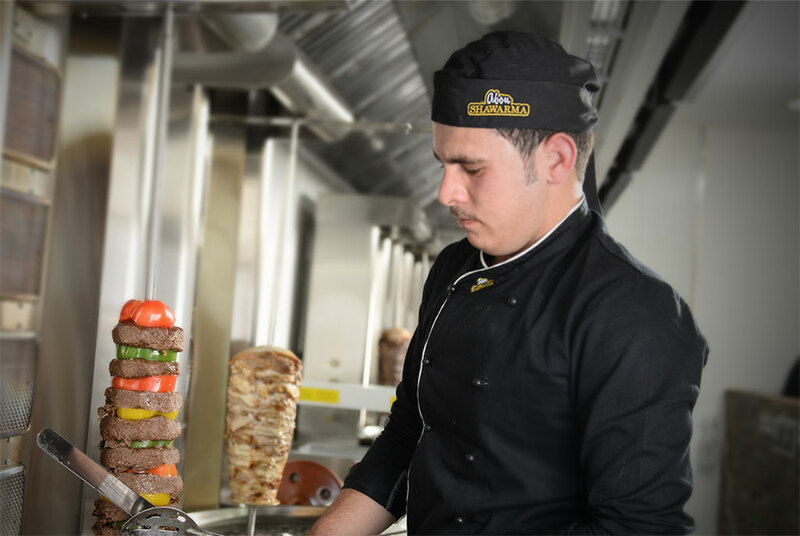 Branding Arabic and English Logo , Menu's, Table Mats, Cups, Brand Guidlines for print and digital, Franchise Brochure and Several other Franchise Guidlines and Materials in both digital and print formats. 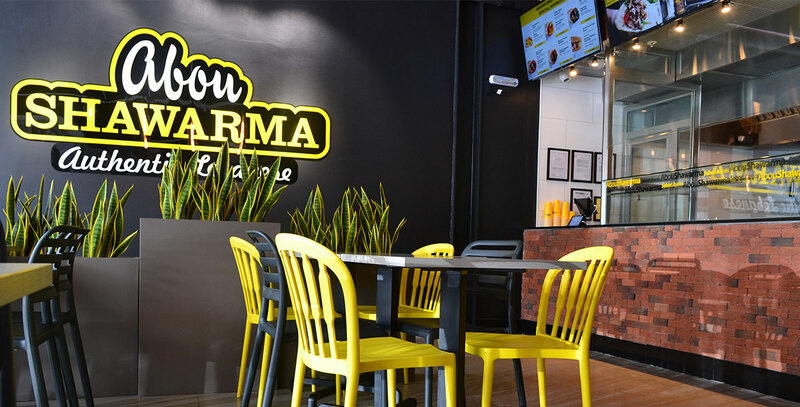 Design of Employee Uniforms, Store Branding and Designs, Digital Menu Screens, Indoor and Outdoor Signage, Delivery Bike and Much More! 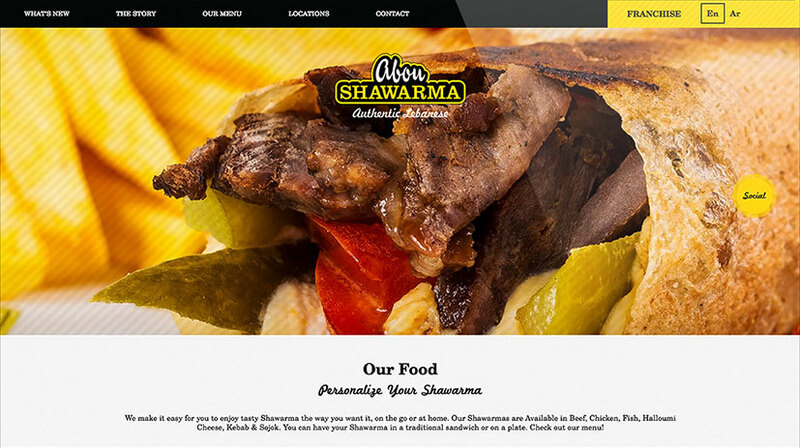 The Web Site and SEO for Abou Shawarma is crucial because it is the main sales tool for the brand. 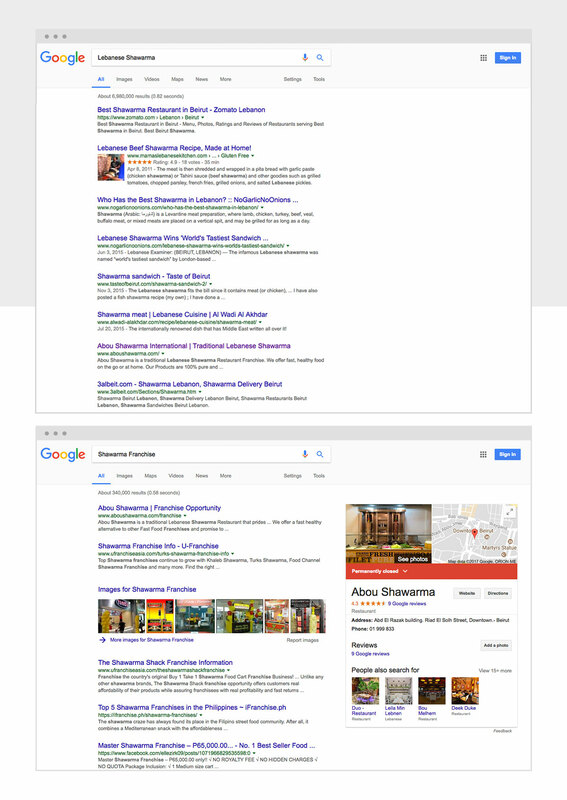 Our ability to get first page results for all the key words related to Shawarma Restaurants, allowed the company to gain quick results and generate leads for franchise sales through the web form. 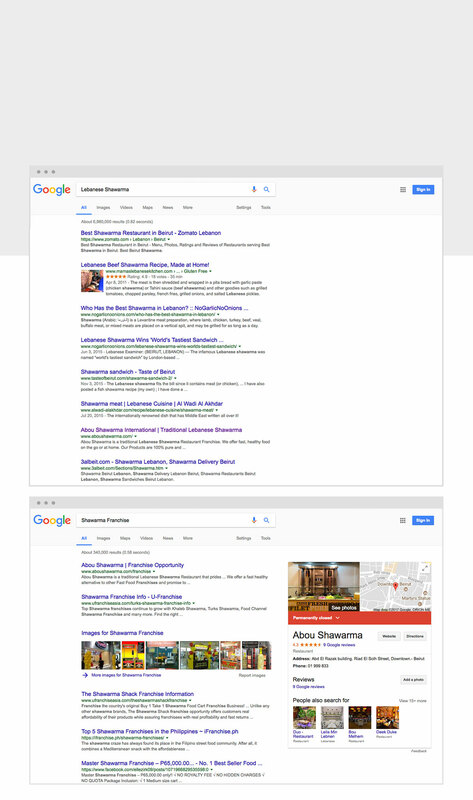 Web site leads contributed to the sales of over 20 locations to date. 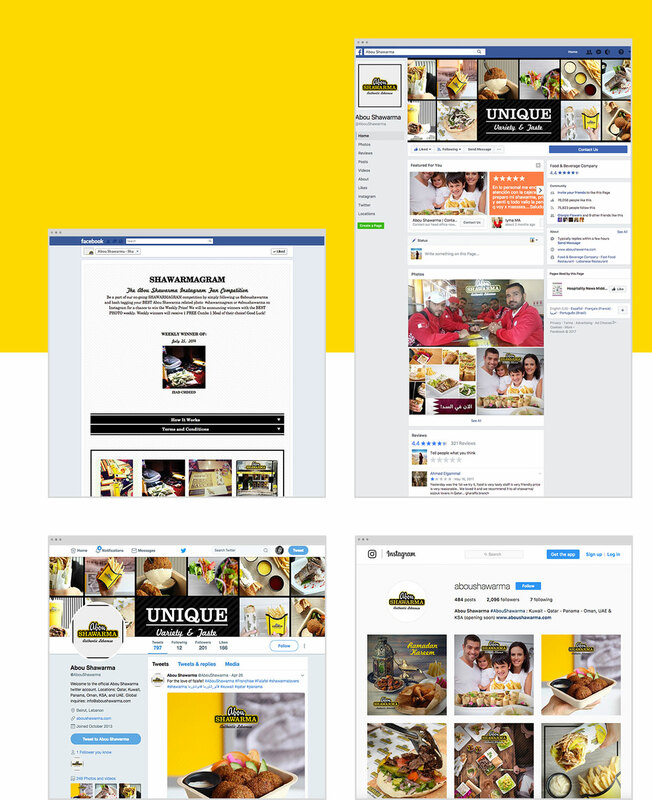 We implimented and set up all Social Media Channels and managed them for 4 years including, Facebook, Instagram, Twitter, FourSquare, Google Business, Trip Advisor, Facebook Applications, Facebook Management, Facebook Application integrated with Instagram for Competitions.